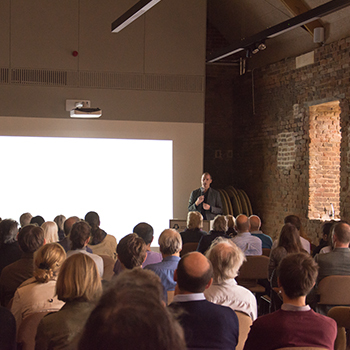 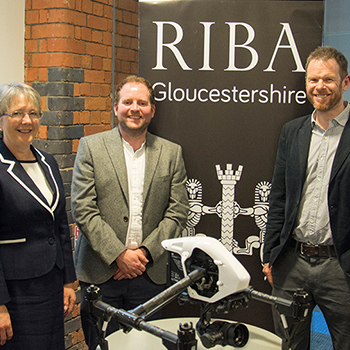 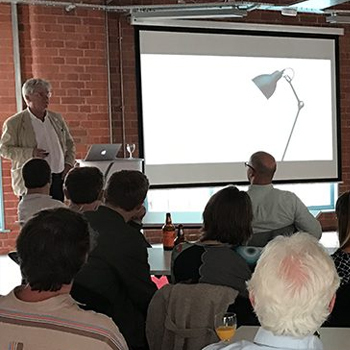 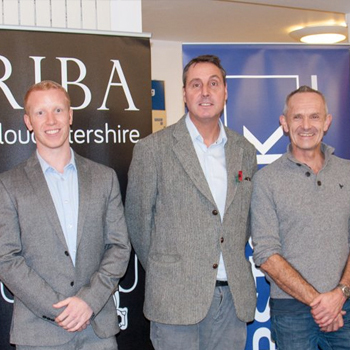 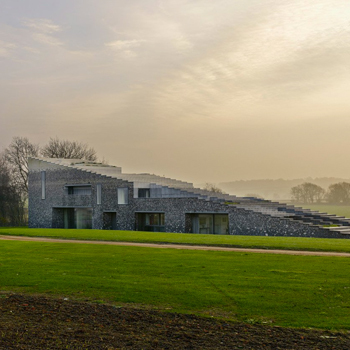 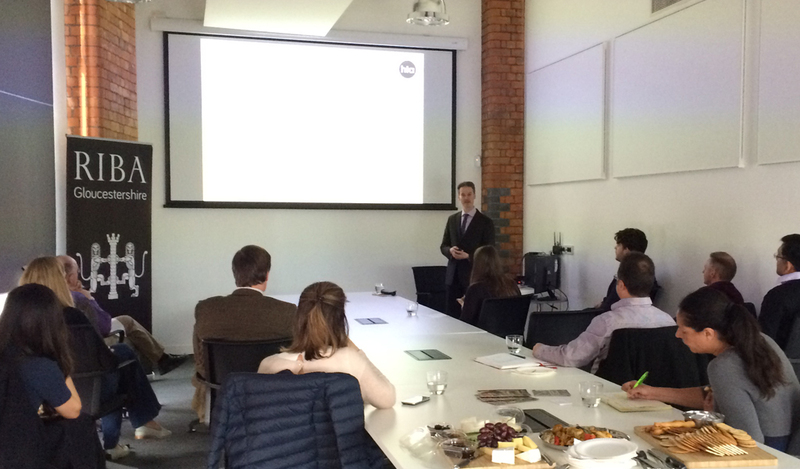 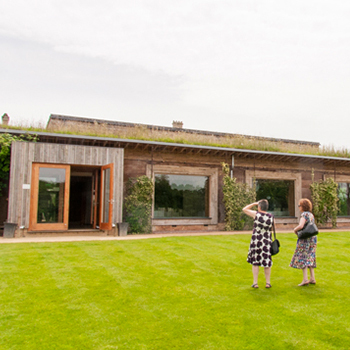 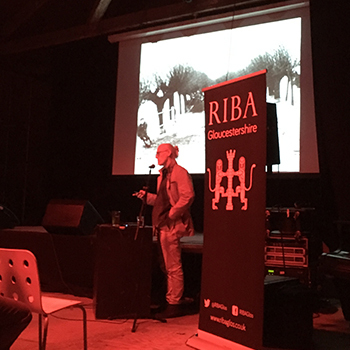 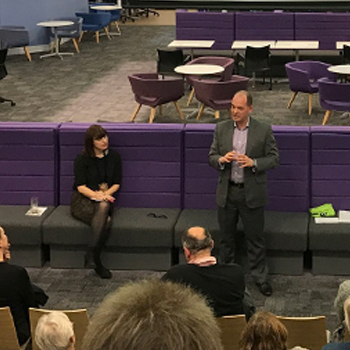 RIBA Gloucestershire welcomed Rory Bergin of HTA Design to present the practices’ AJ100 Award-winning collaborative based research on Digitising Custom Build. 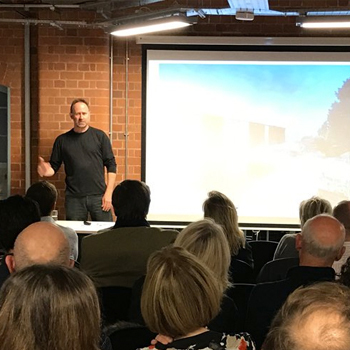 ‘Digitising Custom Build’ won the prestigious AJ100 Best Use of Technology award in 2016, and we are delighted to invite you to an evening with Rory Bergin of HTA Design LLP whom is to present the collaborative practice-based research paper, and their pilot 54-home custom build scheme Heartlands in Pool, Cornwall. 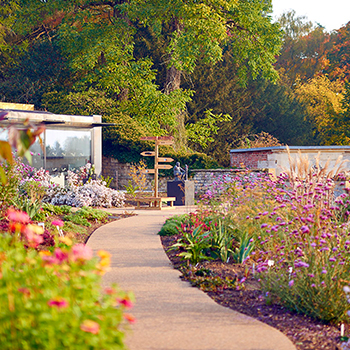 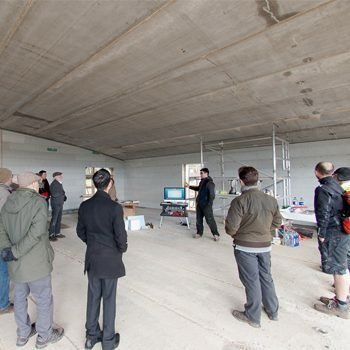 The research paper, funded by Innovate UK and orchestrated by the National Custom and Self Build Association (NaCSBA), examines the process of the planning and design, customisation and sales, on-site construction and handover stages of the custom build route. 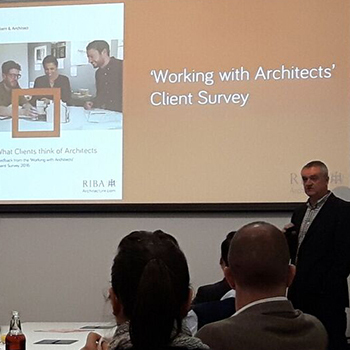 The overall aim of the research is to improve the customer journey, inform homebuyer choice, while maintaining their interest and involvement throughout the entire build process. 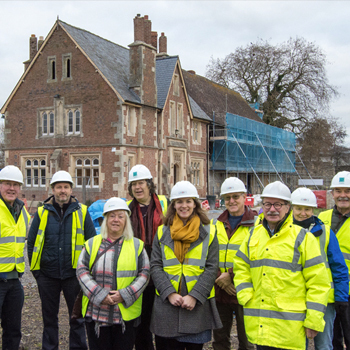 HTA Design LLP collaborated with Slider Studio to create software prototypes and CAD tools that will allow Kingspan Potton to present custom build house types to prospective buyers at their Heartlands project. 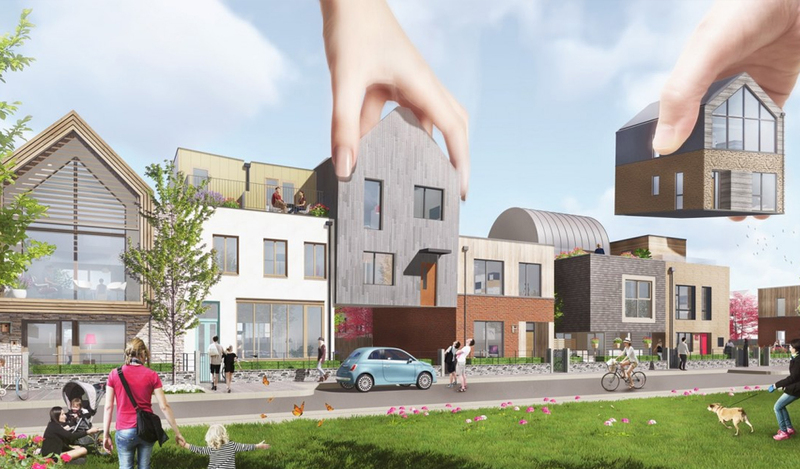 Inspired town-planning procedures in the Dutch city of Almere, the pilot project ‘Heartlands’ in Pool, Cornwall, offers custom build houses on plots within a masterplan, with clients having various built-in design options throughout the process. 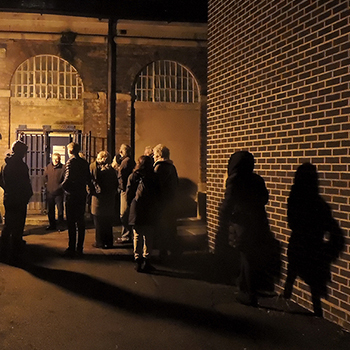 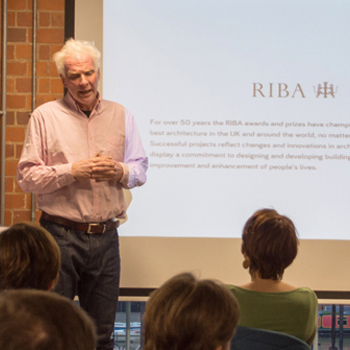 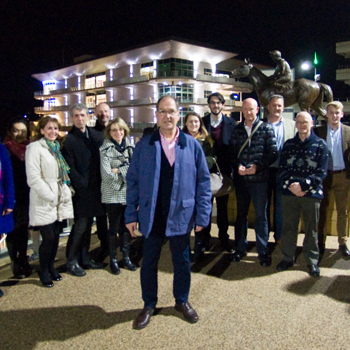 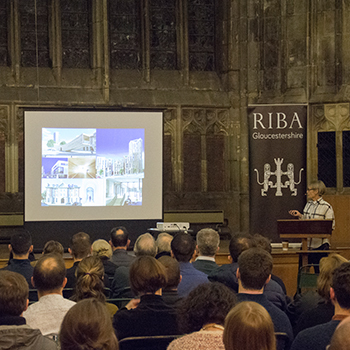 The event was kindly sponsored by the RIBA Local Initiative Fund.